What do you want to be when you grow up? That’s a really tough question, especially if you don’t know what the possibilities are. Join a group of middle schools students at Qualcomm’s Thinkabit Lab as they start to think about their future in the world of work and begin to discover jobs best suited for them. Qualcomm has developed tools to teach students about the kinds of jobs that exist and how to find jobs that are meaningful and exciting. Even if you’re not a middle school or high school student, this approach to facing the world of work may benefit you as you think about your career future. The team at Qualcomm’s World of Work room invites students to determine their strengths, list their interests, and prioritize their core values. Through a series of guided questions, students “stand up” for qualities they might enjoy in a career, and “sit down” for qualities they wouldn’t. Perhaps working long hours on holidays and weekends is a “sit down” for you. If so, knowing that early on could prevent a long road towards an ultimately unsatisfying career. Outside the lab, students are encouraged to keep their eyes open and ask questions. When they see people enjoying their careers, ask them why. What makes a job meaningful for them? What qualities do they need to succeed in those careers? And just as important, ask people what they like least about their careers. What’s the worst part of their jobs and what would they change if they could? Through self-evaluation and exploration of multiple possibilities, students begin to honestly explore careers that could last them a lifetime. 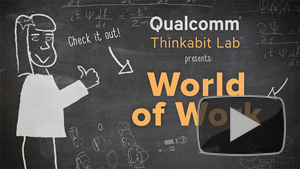 Watch Qualcomm Thinkabit Lab Presents: World of Work. Browse more programs on The STEAM Channel. Ever dream of creating an army of robots to do your bidding? Do you find yourself tinkering with everyday objects? Just want to have a little fun and learn a new skill? 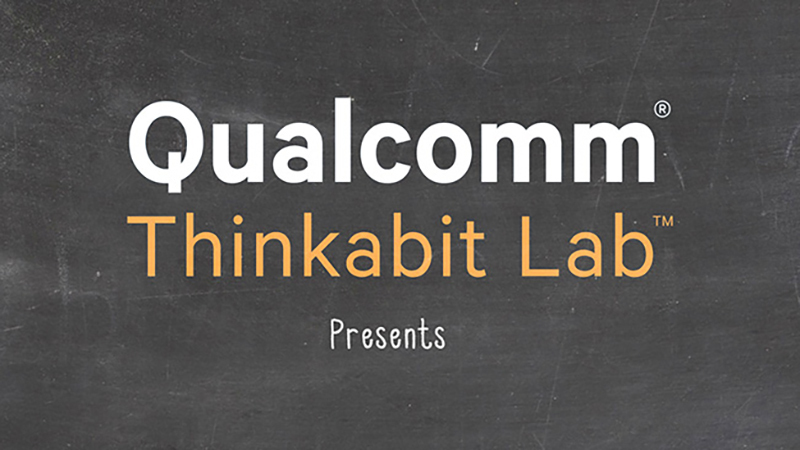 Welcome to the Qualcomm Thinkabit Lab! Join engineer Saura Naderi as she shares the basics of coding, engineering, and creativity through simple projects you can do at home. 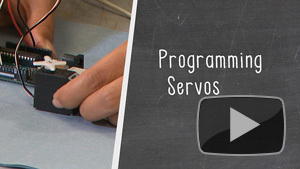 Each video provides a list of easy to gather gear and a straightforward lesson on how to complete the project. 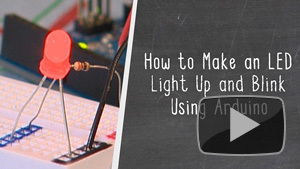 Make an LED blink, get a servo to spin and learn a bit about the process of engineering. Watch these programs and more on The STEAM Channel! Irwin Jacobs – hotel magnate? Had he listened to a high school counselor who said there was no future in science and that he should pursue the hotel business at Cornell, Irwin Jacobs’ career could have taken a whole other track. Fortunately for the world of technology, Jacobs was drawn back to engineering. In this presentation of the Herb York Memorial Lecture Series, Jacobs recounts stories about life before and after Qualcomm — from his relocation to San Diego from MIT, to the tumultuous student life here at UC San Diego in the ’60’s, to the shift from academic life to the business realm and the development of Linkabit and Qualcomm. The Co-Founder of Qualcomm provides insight into the role UC San Diego played in enabling him and his colleagues to build one of the largest information technology companies in the world. Dr. Jacobs is the featured speaker in this presentation by the Institute on Global Conflict and Cooperation at the University of California. 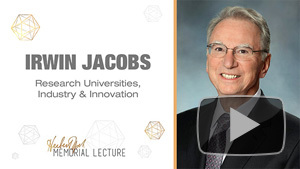 Watch Research Universities, Industry and Innovation with Irwin Jacobs — Herb York Memorial Lecture 2014.